The winner of the US presidential election, Donald Trump, he is forming his cabinet, has nominated as his administration’s Director of Office of Management and Budget Mick Mulvaney. He is a representative of the US House of Representatives from the 5th South Carolina's 5th Congressional District. Mick Mulvaney is one of the US political elite, who openly supports cryptocurrencies. In September, this year, Mulvaney became the co-founder of Blockchain fraction. This parliamentary group focused its efforts on the promotion of laws and regulations designed to develop cryptocurrencies and blockchain apps, Senator Jared Polis became the co-organizer of the association. In the case, if Mick Mulvaney’s candidacy is approved, he will head one of the key institutions of the US administration, engaged in the preparation of the annual federal budget for submission to the Congress. Also, this department controls the budget execution and provides data about the current realization of federal funding. At the federal level, the department is responsible for the providing recommendations upon legislative affairs to the President, the development of federal fiscal policy at the operational level and specific fiscal measures. 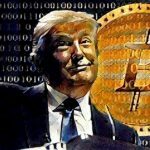 It should be noted, Mick Mulvaney is not the only member of Donald Trump' team who supports cryptocurrencies and blockchain technology. Earlier, Peter Thiel was at the transitional admin. He is an entrepreneur and well-known adherent of Bitcoin. 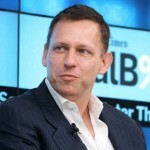 Peter Thiel is one of the constitutors of PayPal payment system plus a Facebook board member. He was the only major businessman in Silicon Valley, who openly promoted Donald Trump during the election campaign and sponsored more than $ 1 million. Peter Thiel's partner Trey Stevens was appointed as a defense secretary at the Trump administration. 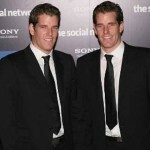 Prior to it, he was Chief of Thiel’s Founders Fund and he worked with the start-ups. © 2018 bit.news | queries 229, for 0.435 sec.